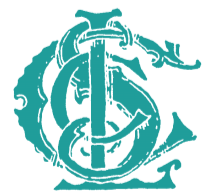 The Chautauqua Literary and Scientific Circle's 2019 Selection list is complete! A total of eleven incredible books make up this year's program, united under the theme, "Collaborations." 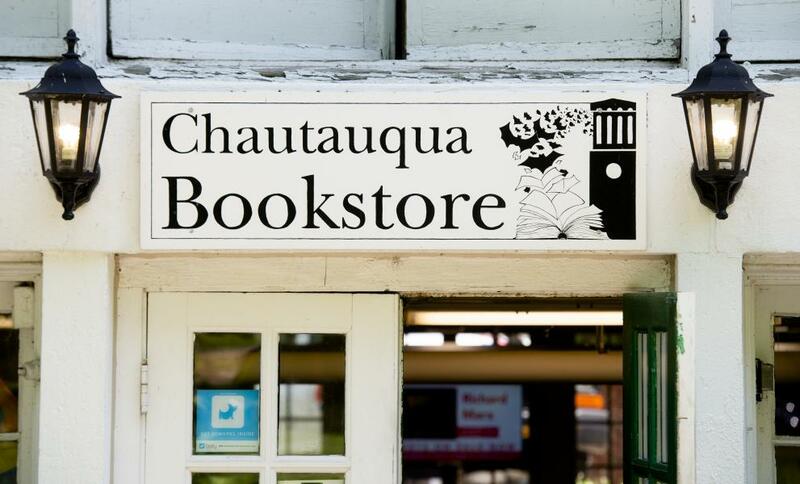 Read more about The Chautauqua Literary and Scientific Circle's 2019 Selection list is complete! Conflict Resolution for Holy Beings by Joy Harjo has been named the final CLSC selection for 2019. A musical, magical, resilient volume from one of our most celebrated and essential Native American voices: In these poems, the joys and struggles of the everyday are played against the grinding politics of being human. Beginning in a hotel room in the dark of a distant city, we travel through history and follow the memory of the Trail of Tears from the bend in the Tallapoosa River to a place near the Arkansas River. Stomp dance songs, blues, and jazz ballads echo throughout. Lost ancestors are recalled. Resilient songs are born, even as they grieve the loss of their country. Called a "magician and a master" (San Francisco Chronicle), Joy Harjo is at the top of her form in Conflict Resolution for Holy Beings. Joy Harjo’s eight books of poetry include How We Became Human: New and Selected Poems and She Had Some Horses, and her memoir Crazy Brave won the American Book Award, among other honors. She is the recipient of the Poetry Foundation’s Ruth Lilly Prize for Lifetime Achievement and the Wallace Stevens Award from the Academy of American Poets for proven mastery in the art of poetry. A renowned musician, Harjo performs with her saxophone internationally. The CLSC Presentation will take place 3:30pm Thursday, August 22nd in the Hall of Philosophy. The novel My Sister, the Serial Killer by Oyinkan Braithwaite had been named a 2019 CLSC Selection. When Korede’s dinner is interrupted one night by a distress call from her sister, Ayoola, she knows what’s expected of her: bleach, rubber gloves, nerves of steel and a strong stomach. This will be the third boyfriend Ayoola’s dispatched in “self-defense” and the third mess that her lethal little sibling has left Korede to clear away. She should probably go to the police for the good of the menfolk of Nigeria, but she loves her sister and, as they say, family always comes first. Until, that is, Ayoola starts dating the doctor where Korede works as a nurse, and Korede must reckon with what her sister has become and how far she's willing to go to protect her. Sharp as nails and full of deadpan wit, Oyinkan Braithwaite's deliciously deadly debut is as fun as it is frightening. Oyinkan Braithwaite is a graduate of Creative Writing and Law from Kingston University. Following her degree, she worked as an assistant editor at Kachifo and has been freelancing as a writer and editor since. In 2014, she was shortlisted as a top ten spoken word artist in the Eko Poetry Slam, and in 2016, she was shortlisted for the Commonwealth Short Story Prize. Braithwaite's CLSC Presentation will take place 3:30 Thursday, August 01, 2019 at the Hall of Philosophy. "Our hearing doesn’t weaken, but something silent in us strengthens." Celebrate National Poetry Month with these CLSC selections. 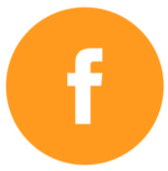 Read more about "Our hearing doesn’t weaken, but something silent in us strengthens." "Poetry is the shadow cast by our streetlight imaginations." April is National Poetry Month! Take a look at some of the most recent additions to our Poetry collection. Read more about "Poetry is the shadow cast by our streetlight imaginations." Keep a weather eye open this April 1st! Congratulations to My Tran, the 2019 winner of The Chautauqua Janus Prize! "Tree rings, like concentric ghosts" by My Tran is the 2019 winner of The Chautauqua Janus Prize. As the author selected from eight finalists by judge Vi Khi Nao, Tran receives $5,000, elevated this year from the original prize of $2,500, plus all travel and expenses for a summer residency at Chautauqua during the 2019 summer season. Tran will present a public lecture and reading at a celebratory event with music and refreshments at a date to be determined on the Institution’s grounds. 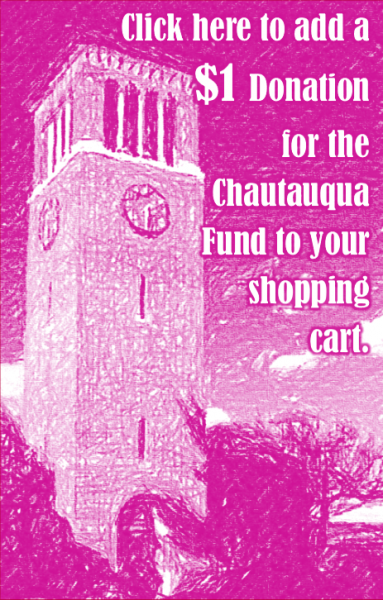 Their writing will also appear in a future issue of the literary journal Chautauqua. Tran said they were honored to be chosen for a prize that celebrates formal innovation. 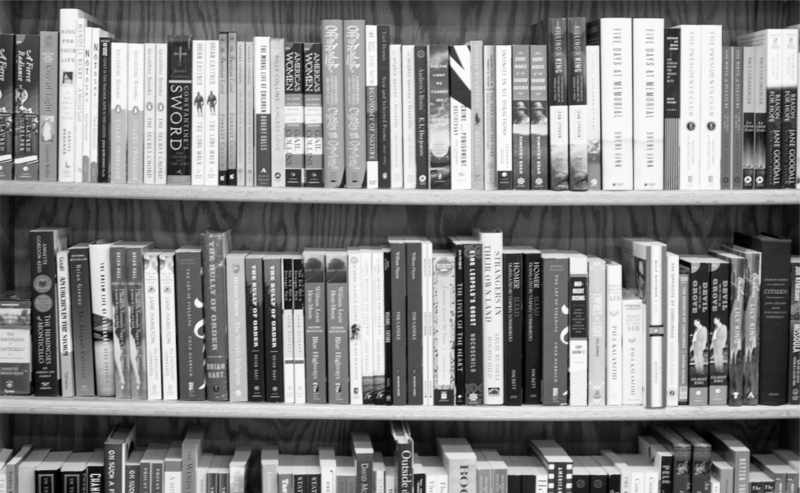 "Tree rings, like concentric ghosts" as published in the Spring/Summer 2019 issue of Black Warrior Review will be available at the Chautauqua Bookstore and CLSC Veranda. 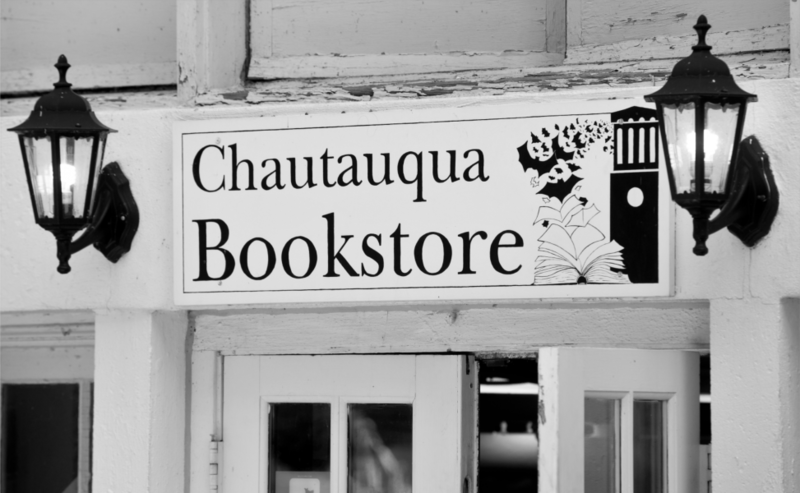 For more information on The Chautauqua Janus Prize, My Tran, and the other finalists, visit the CHQ Literary Arts webpage. Read more about Congratulations to My Tran, the 2019 winner of The Chautauqua Janus Prize! "It's me, RED crayon. WE NEED to talk. " March 28th is Children's Picture Book Day -- a perfect opportunity to revisit an old favorite, or find something new! Read more about "It's me, RED crayon. WE NEED to talk. " 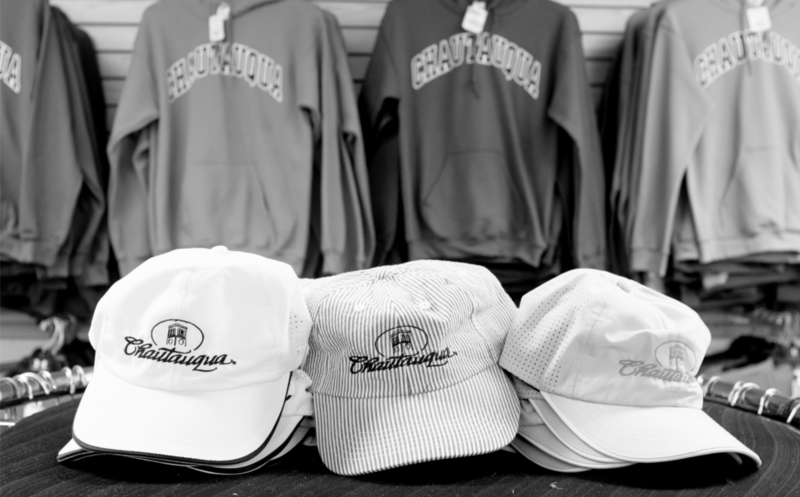 In addition to our 75% Off Sale Corner, filled with an assortment of gifts, clothes, and books, we also have a new selection of Chautauqua sweatshirts that are now 40% Off! Swimmer Among the Stars by Kanishk Tharoor has been named a 2019 CLSC Selection. In one of this collection’s singularly imaginative stories, despondent diplomats entertain themselves by playing table tennis in zero gravity―for after rising seas destroy Manhattan, the United Nations moves to an orbiting space hotel. In other tales, a team of anthropologists treks to a remote village to record a language’s last surviving speaker intoning her native tongue; and Genghis Khan’s marauding army steadily approaches an unnamed city’s walls. Kanishk Tharoor’s journalism and fiction have been published in The New York Times, The Guardian, The Atlantic, The Nation, The Paris Review, and The New Yorker, and his work has been nominated for the National Magazine Award. He is the presenter and writer of the BBC radio series "Museum of Lost Objects" and a columnist for the Hindustan Times and the Hindu Business Line in India. He lives in Brooklyn with his wife and son. The CLSC Presentation will take place at 3:30 p.m. Thursday, August 15, 2019 at the Hall of Philosophy. Please note that Kanishk Tharoor replaces Hala Alyan (Salt Houses), previously announced for Aug. 15.